Cryypto.com is a Community Centric Token Trading platform with a profit sharing model with its members. Cryypto is a full range digital asset trading platform and service provider. Our unique approach to the worldwide market centers around our ability to offer users the best trading experience, while integrating the highest level of security and state of the art technology to our users. We invite ICOs to list their tokens or coins on Cryypto.com for Free. No outrageous token listing fees that cripple your startup. This community reward mechanism utilizes Cryypto’s innovative “Trans-Fee Mining” model, in which Cryypto regularly rewards community members in the form of a C0x Token, Cryypto’s native currency. When members trade on the Cryypto platform, they receive 100 percent of their trading fees back in C0x. Here is an example of how the Trans-fee Mining Model works. Let’s assume you want to buy 10 ETH with BTC. 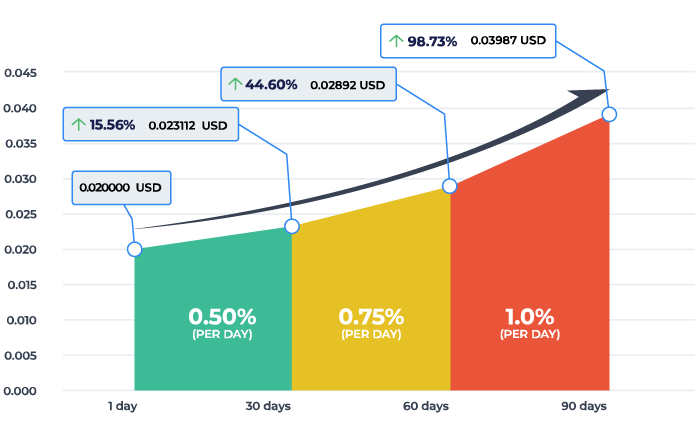 Cryypto distributes 80% of its daily profit to C0x Holders. The majority of Cryypto’s daily profit is distributed to traders who hold C0x Tokens. For example, if Cryypto collects 14.947354 BTC in profit during the previous cycle, C0x holders that held on to their C0x tokens during this cycle will receive 80% of the profit. Profit is distributed proportionately as per your holding. C0x Token holders will have various digitized rights in the Cryypto platform. The Cryypto trading platformrevenue will be distributed to the C0x holders at a fixed proportion. Distribution proportion: 80% for C0x Tokens holders, and 20% for Cryypto’s development and operation team. Cryypto’s platform trading revenue will be distributed to C0x holders at a fixed proportion. 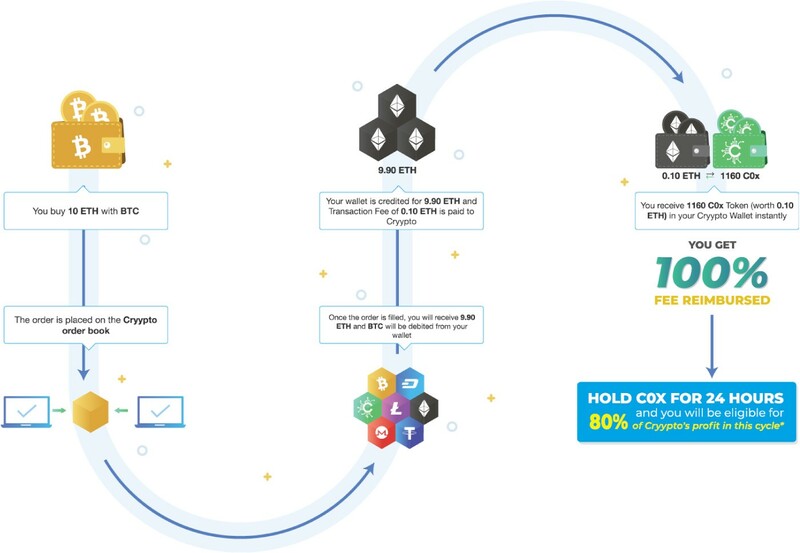 80% for C0X holders, and 20% for Cryypto.com’s development and operation. The Cryypto community will have the opportunity to vote for tokens to be listed for trading on the platform. Cryypto will give members of the community opportunities to invest in new startups, and as these projects develop, community members will get a financial return.